Reforestation is, in the simplest terms, causing a forest to occur again.This can be done by letting deforested land go fallow for several years or by replanting native species in open areas or adjacent to remaining forest. Pressure on forests can be relieved by creating tree farms that raise one or more varieties for the express purpose of harvesting them for sale. Finca Leola S.A. is taking all three approaches, with the goal of creating perpetual, nurtured forests in the sections that are at first dedicated to tree farming. We feel that we can't call it a reforestation project unless the end result is a forest! 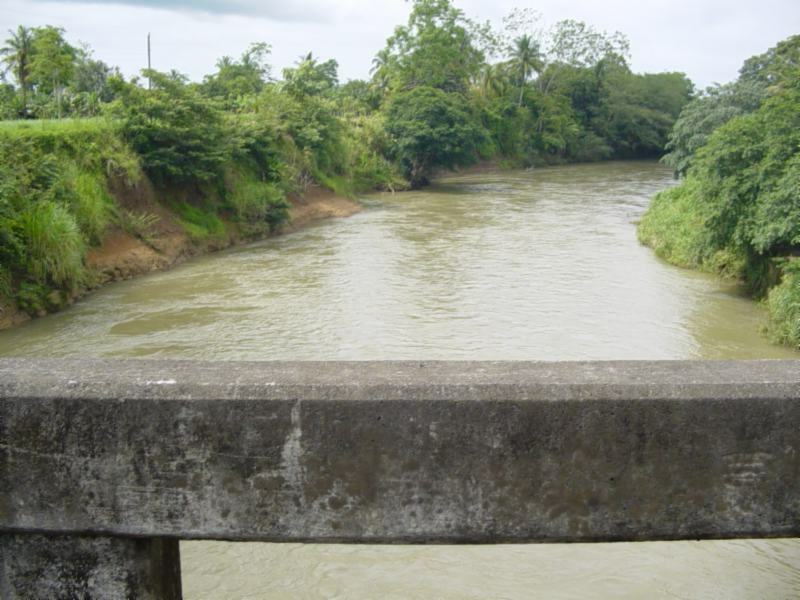 The laws of Costa Rica require all landowners to protect the waterways with a barrier of 15 meters where the trees can never be cut. You would think that in a rain forest you would not have problems with lack of water, but there is a dry season, and without the buffering effect of trees and leaf litter, the streams can dry out during the summer. This has a devastating effect on the ecology. Also, as you can see from the muddy river in the picture, without rain forest, the soil is running off into the river. We are told by the people who grew up here that the streams around our Finca #1 were actually twice as large 30 years ago! This is because 30 years ago, all of this area was virgin jungle. Then almost every bit of it was cut down to provide pasture for cattle. Our dream is to let the land provide enough profit through tree farming that it can pay for its gradual return to rain forest. Read more about the need for and benefits of reforestation by clicking on the menu items on the left side of this page.